Initially, a diabetic diet can be overwhelming. What to eat, how much to eat, and when to eat are commonly asked questions when embarking on a diabetic diet. In addition, learning about carbohydrates and their effect on glucose and insulin levels, and counting carbohydrate grams can be challenging at the onset. However, with sensible meal planning and the sample diabetic diet menus below, following a diet to control blood glucose levels can be easy and enjoyed. Adhering to practical food choices can make a profound difference to your blood glucose and insulin levels. That reason alone is enough to imagine doing the once unimaginable task of planning suitable and tasty meals. Meals do not have to be bland or severely restrictive. The most important feature of a daily menu is its mix of complex carbohydrates, such as grains, fruits and vegetables, lean proteins and healthy fats. 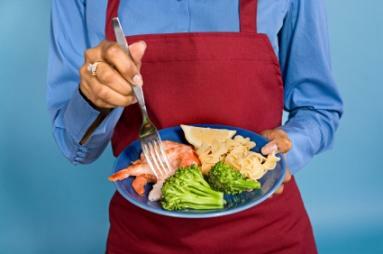 The following diabetic diet menus will launch you on your way to a lifetime of healthy eating. Each menu supports adequate complex carbohydrate intake to discourage escalating glucose levels. The calorie totals range from 1200 to 1500 per day. Providing yourself with a meal or snack at two to three hour intervals is highly recommended, as is always eating within one hour of waking. It is wise to seek the expertise of a nutritionist or other medical professional to help devise meal plans to meet your individual needs. There are several books available to help with additional meal planning. Reversing Diabetes and Betty Crocker's Diabetes Cookbook are highly recommended due to their wealth of information and diabetic diet menus.